POSITIONING from Anne Beal on Vimeo. The idea for Positioning began in 2014 when I found a best-selling business book in a parking lot and brought it home with me. Published in 2007, the book explains how to develop one’s personality traits in order to gain status in a corporation—learning to prioritize profit margins over human individuals was named as a core skill. 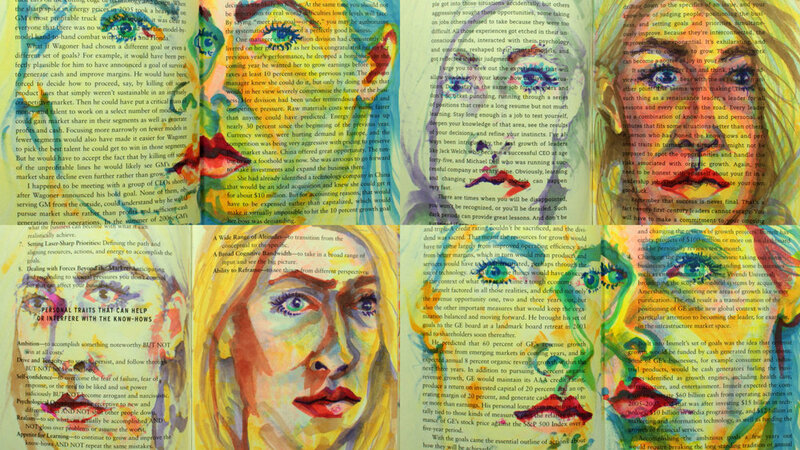 It struck me as something I wanted to challenge, so I began a ritual of drawing my portrait on its pages. I deliberately ignored the text as I drew. 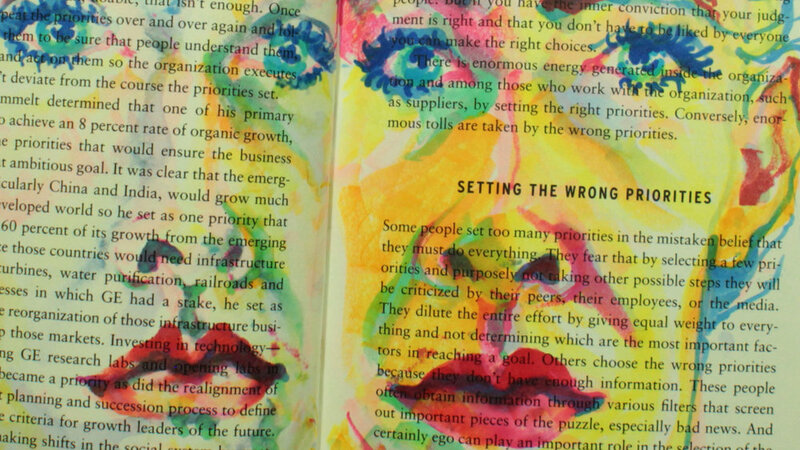 After a week of drawings I would go back, read the book, and discover comical moments where “profit margins” was written on my forehead or “moneymaking” on my lips. I started making the soundscape for Positioning about 80 drawings in. I explored Feminist texts, looking for passages to pair with certain images from the film, which as printed text—passages themselves—would compete with the sound. I recorded myself reading excerpts from Charlotte Perkins Gilman’s 1898 essay, Women and Economics, and I mixed them with advertisements from the 1950s, old radio shows including The Jazz Singer, and a personal voicemail. The soundscape helped to structure the film, and a narrative (a non-narrative narrative) started to emerge. Anne Beal is an American filmmaker and painter working in animated imagery. She composes the soundscapes for her films using her violin, viola, and audio from personal and archival sources. Anne has been awarded artist residencies at the MacDowell Colony and the Corporation of Yaddo in support of her upcoming animated short film, This Is Not for You. Check out more of her work at: annebealanimation.com.